Panda Fowler never believed in the possibility of a supernatural world until her wife Mitzi is kidnapped and she must suspend her disbelief and jump in with both feet. She quickly learns that a world within a world exists and she, with the help of her best friends, Juniper and Valerie Gooden, must challenge this magical world to get Mitzi back. Along the way they will learn the truth about Mitzi's heritage, and battle villians in Germany who practice the "Wolf Raven" religion that despises, among other things, homosexuality. This story is filled with quirky characters that will keep you smiling all the way to the end. Available NOW on Amazon in Paperback and Ebook. Love Is In The Air, a collection of romantic short stories about love that comes to us in different ways, different forms, and in ways we might never suspect. Whether we feel worthy or not, love is there. And it will find us all. 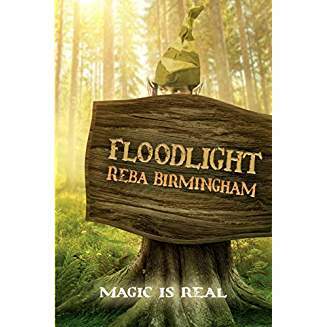 Reba Birmingham has a short story in the Anthology "Love is in the Air". Love Is In The Air is available at Bella Books and Amazon.